Click here for latest parade news for 2019. The 2019 St Patrick's Day Parade is set for Saturday March 16th at 12pm. The Friendly Sons of St. Patrick is a charitable, 501(c)(3) non-profit organization (#27-1551302) that was started in 1978 by a small, but dedicated group of people. 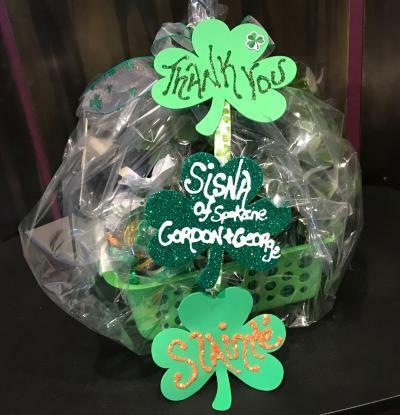 Our primary goal is to organize the local St. Patrick's Day Parade and ceremonies in Spokane honoring those of Irish ancestry, and to provide donations to area non-profit organizations to help support the community. Each year on the Saturday prior to St. Patrick's Day, The Friendly Sons of St. Patrick put together one of the most fun and entertaining parades in the region. Using proceeds from the parade, the Friendly Sons' passion for this event extends beyond the parade route each year when they provide donations to several area non-profit organizations to support the community. This, in general, is much in line with the initial organization founded in Philadelphia in 1771, interestingly enough, five years prior to the Declaration of Independence. 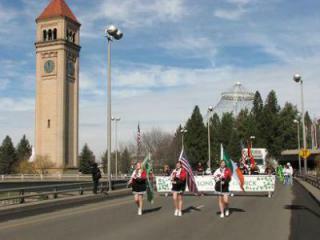 This annual parade is one event in Spokane that is open for total community involvement. Regardless of race, creed or color, everyone has just that wee bit of Irish that comes out in full spirit, whether you're a dyed-in-the-wool Irish person or just Irish-for-the-day, this is one event you won't want to miss. Thank You FSOSP for recognizing our hosting and support again this year. Looking forward to seeing folks at this year�s parade.